Do not know why recently i likes to eat sandwich. previously my sandwich is comprise of tuna, tuna and tuna only. then on 1 trip to Genting in the very the early morning, we had our Buffet Breakfast in the Genting Cafe. it's Ham, egg, nasi lemak, fried mihun, prorridge, a few limited choices of food for the buffet. at that movement, im realised i have been since in UK, i never eat Ham with sandwich in Malaysia and im also hardly seldom come accross Ham is selling in Carrefour and Jasco. so after that, im decided to walk all the corner to looks for the Ham. Oh, it's selling in Carrefour and Jasco as well. both is selling the same brand and same Ham. So i begin my experience. my sandwich with Ham. then i add egg, timun, tomato and mayonise. wow... it's taste good. 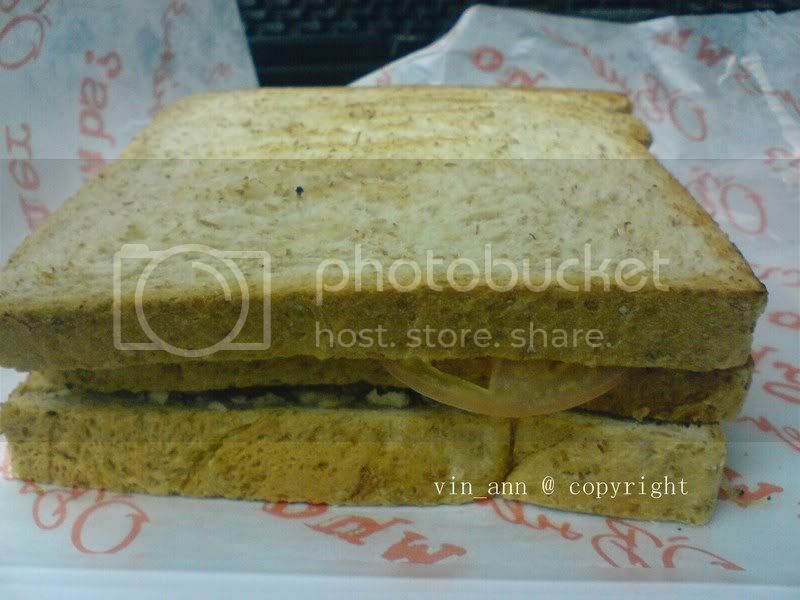 but the sandwich i make is not the picture below. the Sandwich below is my lunch on Wednesday. 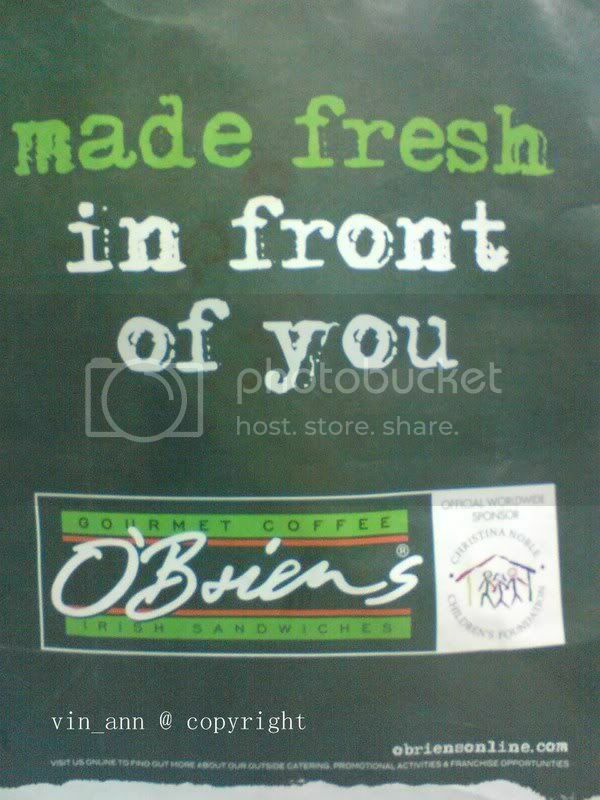 Obrien Sandwich is newly opened behind my office building. Wisma UOA II is having promotion Buy 1 Free 1. i ordered Chicken Triple Decker which cost Rm16.50 each. Lucky we got share out the cost, but still paying for RM8.25. 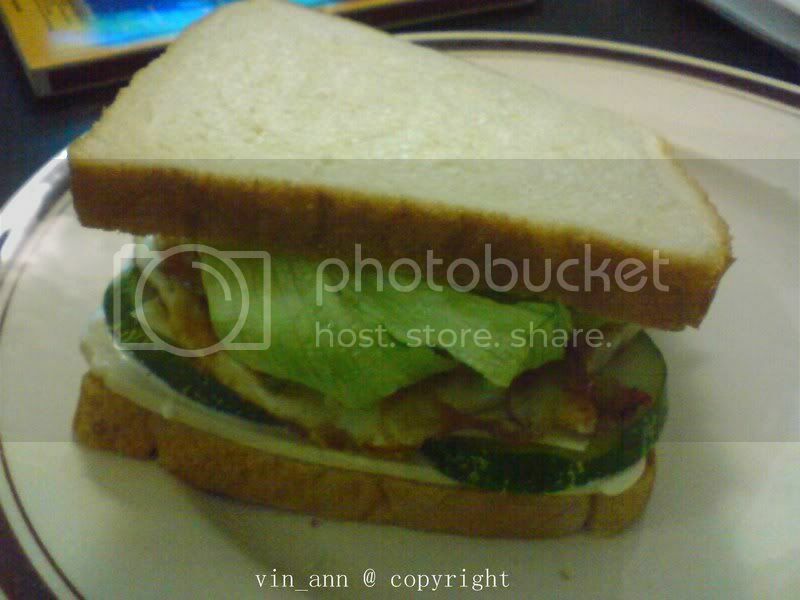 now this is the sandwich i made just now for my diner. inside got Australia lettuce, Ham, egg, timun, mayonise and chili souce. Yummy. im only do one sandwich, as after i ate, i feel quite full. this is the Obrien newly opened.